On August 15, 2016, the Google Pixel and Pixel XL made stops by the FCC, confirming that they were getting ready for a release. A year later, on August 15, the 2017 Google Pixel 2 has stopped by the same body, giving us details of the expected specs and features as well as confirming that the phone’s release is drawing closer. While we’ve seen most leaks dwelling on the larger Pixel 2 XL, the latest has nothing to do with this variant, instead, it focuses on the smaller model. Even though the listing doesn’t give out all the details of the Google Pixel 2, there are some things we can gather. When combined with other reports, we end up with a list of the 5 reasons you should not buy any other phone and instead wait for the release of the Pixel 2. Similar to last year, the upcoming Google Pixel 2 will come with a slightly upgraded version of Android. Where other OEMs will probably be coming in with Android 8.0.0, the FCC listing confirms the device will be powered by Android 8.0.1. The difference might seem small, but it represents some performance enhancements and system stabilities the other version doesn’t have. Even though the listed security patch is for the month of August, things will definitely change by the time of releasing the phone. The outgoing Google Pixel has no 64GB storage option, instead, you either get the 32GB variant or 128GB variant. The former is continuously growing smaller for many, but with a possible base model of 64GB, the Google Pixel 2 will be playing in the same league as the Galaxy S8, OnePlus 5 and other close rivals. But as usual, don’t expect anything to do with expandable storage. The FCC listing confirms that the Google Pixel 2 will be manufactured by HTC, just like with the original models. There have been reports that the larger Pixel 2 XL will be made by LG, but this hasn’t been confirmed just yet. One of the features that HTC has introduced the smartphone world to is the squeezable frames. 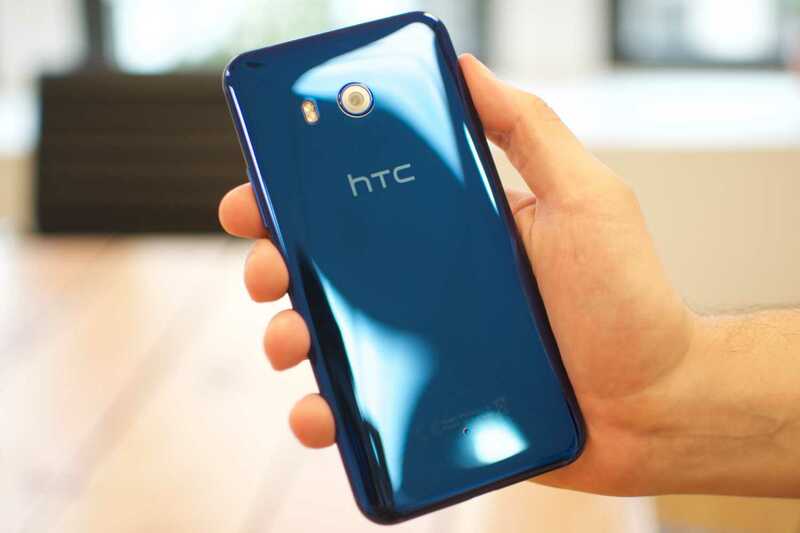 The HTC U11 is the only phone in the world that boasts this feature, where users can do different things by applying different pressure levels on the edges of the phone. Apparently, the upcoming Google Pixel 2 will also make use of this technology via a feature known as Active Edge. Previous reports had suggested that the squeezable edges will only be present on the bigger Pixel 2 XL, but it appears that the smaller model will also get this feature. The listing on FCC also mentions the processor to expect under the hood of the Google Pixel 2. Apparently, there’s the number 8998 in the baseband, which all but confirms Qualcomm’s Snapdragon 835 or the much-talked about Snapdragon 836 will be the one running the show. Despite the possibilities of a Snapdragon 836, the Google Pixel 2 is expected to keep the same 4GB RAM that appeared on the original model, which is still very okay, if you ask me. Many sections are not so happy that the Google Pixel 2 might lose the 3.5mm audio jack. Honestly, this depends on which side of the table you are seated. From this end, turning to a universal USB-C port is the future. If anything, it makes the phone future proof, but if you are not so happy about it, you might enjoy the fact that the Pixel 2 may come with dual front-facing stereo speakers. There’s also word that the phone could be dust and waterproof thanks to an IP68-certified body, but this is still a rumor. Take note that all these goodies will also come at a price, which means it’s possible that the Google Pixel 2 won’t be any cheaper than last year’s model – or perhaps even more expensive.